Mahogany color. Aromas of coffee with cream, cherry essenced whipped topping, and fudge covered molasses cookie with a satiny, vibrant, effervescent, dry-yet-fruity medium body and a cheery focaccia, sassafras, and black tea finish. A bright stout with table-tuned acidity. Bottom Line: A bright stout with table-tuned acidity. Dry stouts are typically dark in color and range from 4-5.5% in alcohol. These brews tend to be rich with a definitive bitter note and a dry finish. The style is closely associated with Ireland, specifically Guinness. It is also widely emulated throughout the world and is particularly popular with US microbrewers and brewpubs, often as a more full-bodied and dryer interpretation of the original style. Noteworthy examples of this style include: Guinness Extra Stout, O’Hara’s Irish Stout and North Coast Old #38 Stout. 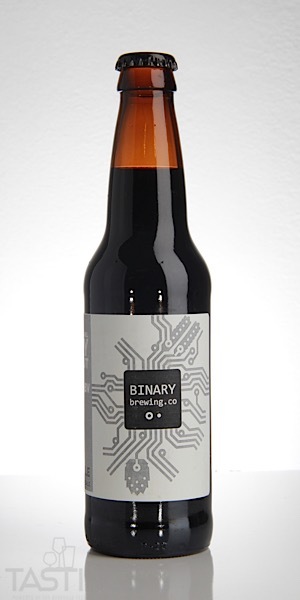 Binary Brewing Co. CTRL-ALT-DEL Dry Stout rating was calculated by tastings.com to be 88 points out of 100 on 11/9/2018. Please note that MSRP may have changed since the date of our review.